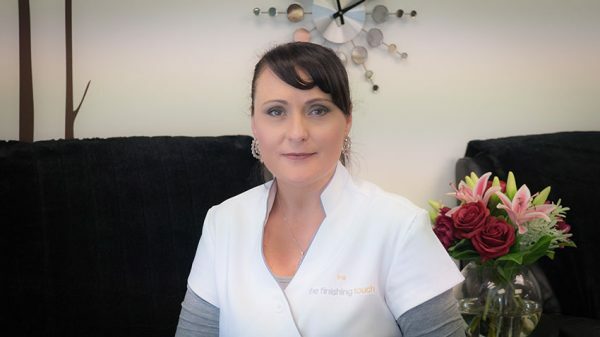 Kathy has owned The Finishing Touch for 29 years and has in that time specialised in nail technology. She has been a passionate nail technician and has done film and television work including nails for ‘The Lord Of The Rings’ and ‘The Hobbit’ movies and has transformed many celebrity nails including Cate Blanchett, Miranda Kerr and Eddie Izzard to name a few. Kathy still LOVES to do nails and nail art and especially loves intricate designs – bring in a nail art picture and she will reproduce it on your nails. Ina is the latest staff member to join our family at The Finishing Touch. As a senior nail specialist, she worked for Steiner Inc London aboard cruise liners – a role reserved for only the very best technicians. Kathy is delighted to finally have someone to help her out with her large clientele who love their hard gel nail extensions. 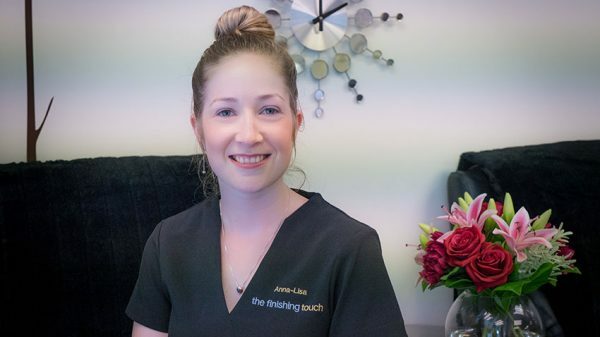 Anna-Lisa is an energetic and enthusiastic Therapist who loves to offer the finest manicures and pedicures to her clients. 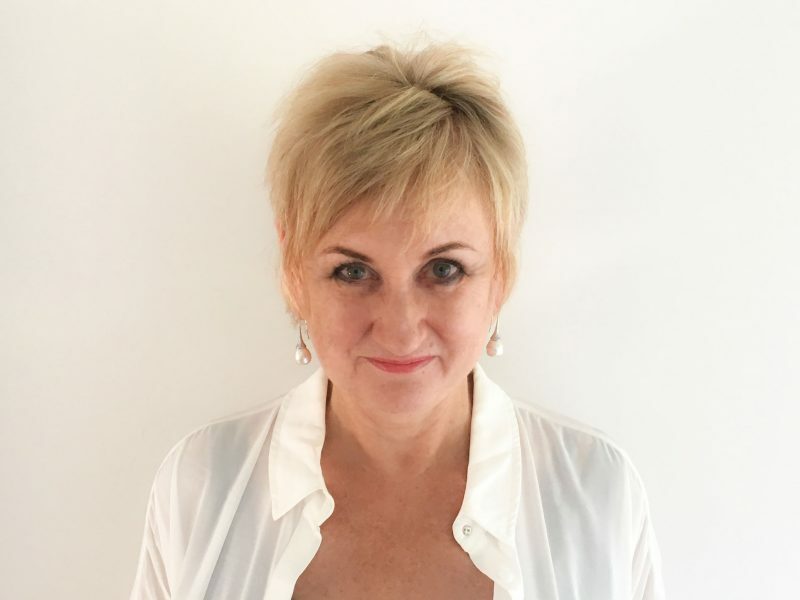 Anna-Lisa is a talented facialist and is an expert at giving advice and guiding her clients to their best choices of skincare. Book now with Anna-Lisa for a fabulous facial experience and she will share with you her expert knowledge and help you get the best from your skin. Anna-Lisa also specialises in Classic Eyelash Extensions and is very popular and in demand for this service. Briony has returned to us after working on her own for the last 3 years and we are so delighted to have such a bubbly and talented therapist back with us. Briony specialises in the most beautiful eyelash extensions including volume lashes which thickens the lashes not just adds length. She has bought with her a very large and loyal clientele who we love welcoming into our salon and she is also an experienced waxer and does very fast and effective Brazilian waxing. Briony is an expert facialist and has a wealth of knowledge and experience in skin care and treatments. 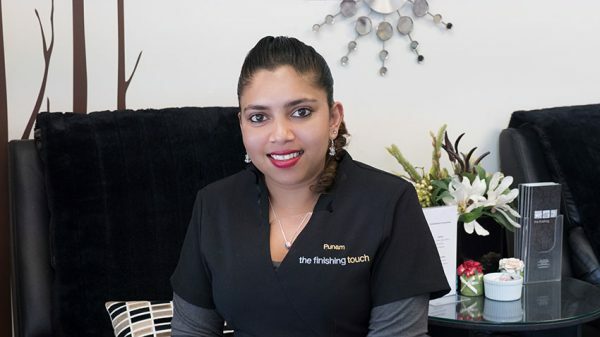 Punam is a Senior Beauty Therapist who specialises in massage. Punam offers the most amazing massage which she has a real passion for and this includes deep tissue massage for which she is incredibly popular. Punam has worked in Resort Spas in Fiji and Rarotonga and has a wealth of experience she has bought to us. Punam is very popular for her reflexology sessions and amazing massages with her pedicures. 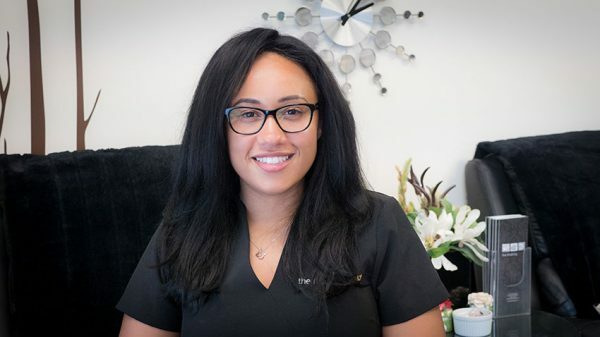 Teryn is an Internationally Qualified Beauty Therapist and has been with us for three years. We all love her professionalism and joyful, friendly personality. She is incredibly popular with our clients for her artful spray tanning and eyelash tinting. 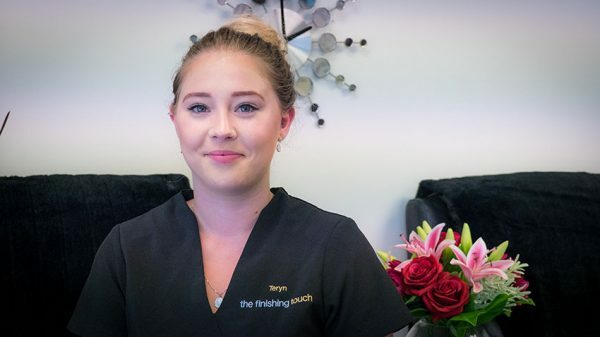 Teryn loves to do manicures and pedicures and is well known for her incredibly relaxing hot stone massage, meaning she has a large and loyal clientele. Her massage techniques have many clients requesting her for luxury hand treatments, foot massage and pedicures. Call 04 471 1469, use the booking form below or visit the salon.